Hi everyone! Easter is getting closer and since I host dinner here, I always like to dress up my table with a handcrafted goodie or two! Plus, having little candy treats at the table is always a nice touch! 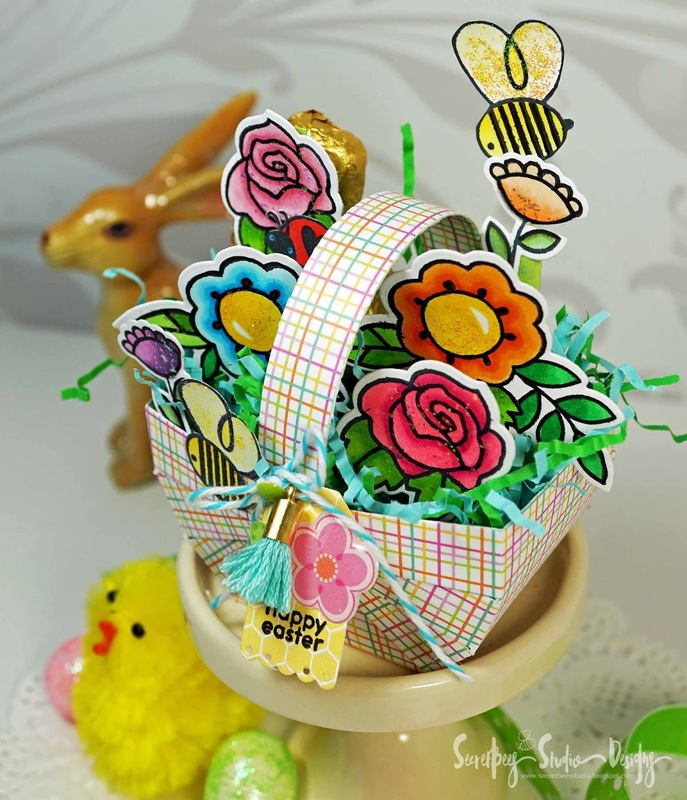 The Floral Picnic Basket from Spellbinders is the perfect size to tuck in a few treats and use as a place card! I cut this one from some pretty Spring plaid and then stuffed it with some adorable Paper Smooches blooms that have been colored with Copic markers! 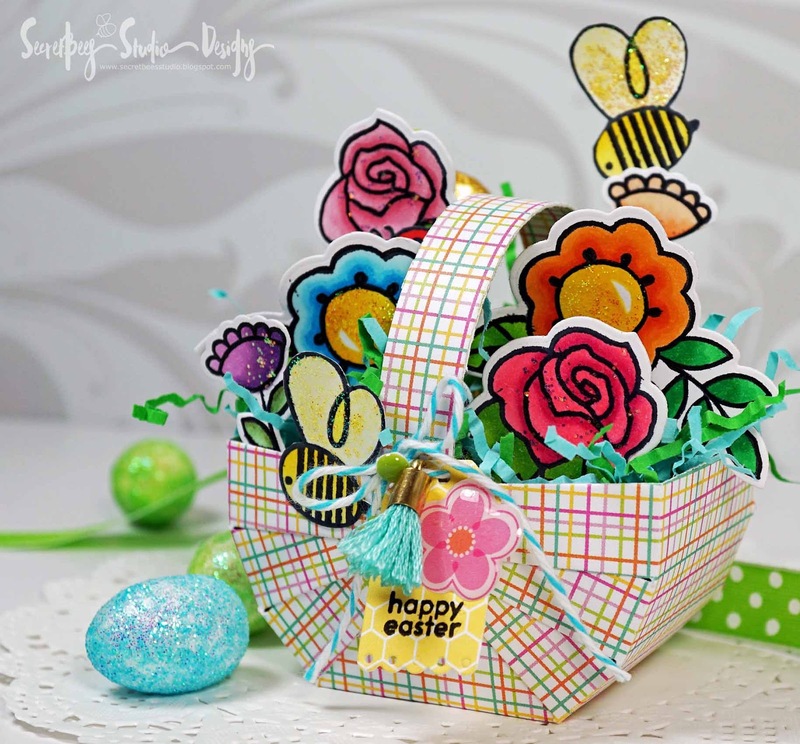 I made this like a box card, adding strips of sturdy card stock to each flower and then adhering them to the bottom of the basket. 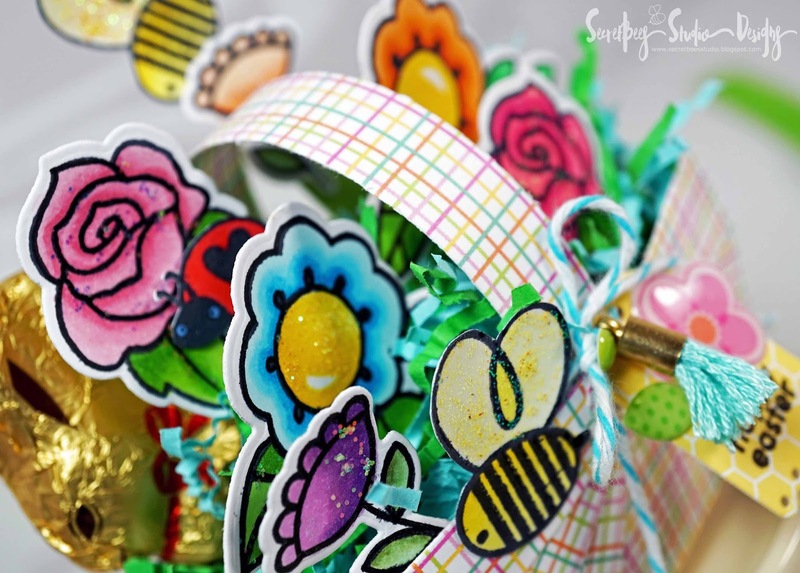 I covered most of the card stock strips with the grass but they could also be a easily hidden with lots of jelly beans and chocolate bunnies! I couldn't resist painting on some Stickles glitter for lots of shine and I added in one super cute puffy flower to a tiny tag! I stamped a simple Easter sentiment on the tag but it would be cute to add in your guests name. 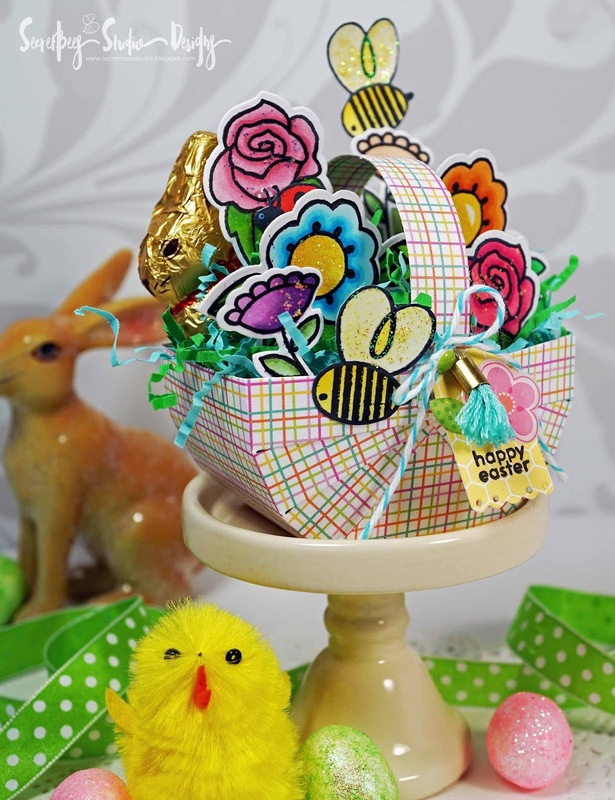 Since I have quite a few guests coming for dinner, I will be making more of these adorable baskets. The whole project came together very quickly and they will make my table look amazing and festive! 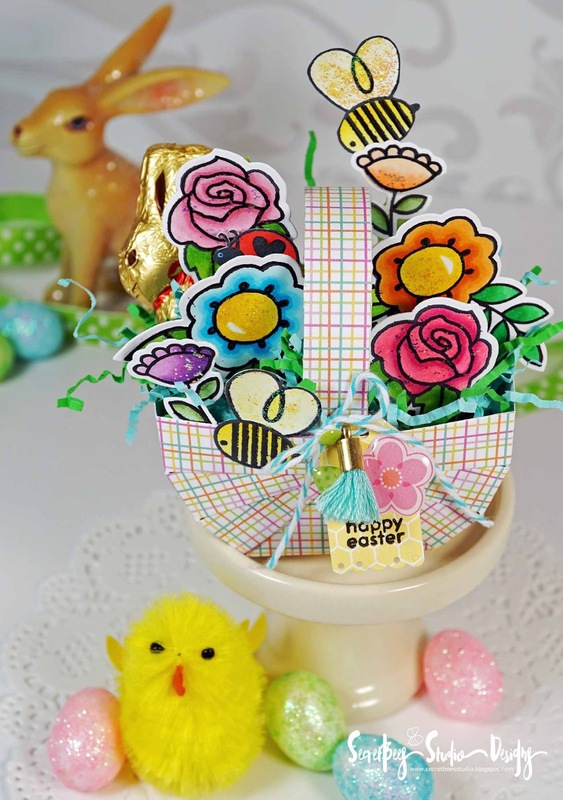 What a beautiful basket full of brightly coloured flowers. Just gorgeous!